The 2015/16 Bundesliga season is now at the halfway stage, providing the ideal time to take stock of each club's progress so far. Here, bundesliga.com puts Hertha Berlin under the microscope. Pal Dardai's side have taken the Bundesliga by surprise this season, but deservedly sit in the heady heights of third place over the winter break, with a five-point lead over fourth. After an inconsistent start to the campaign - they lost two of their opening five fixtures - the Old Lady have steadily climbed up the table and already boast as many wins - nine - as they recorded in the entire 2014/15 season. The foundation for their success has been a solid defence, with the imposing figure of USA international John Anthony Brooks at the heart of it. 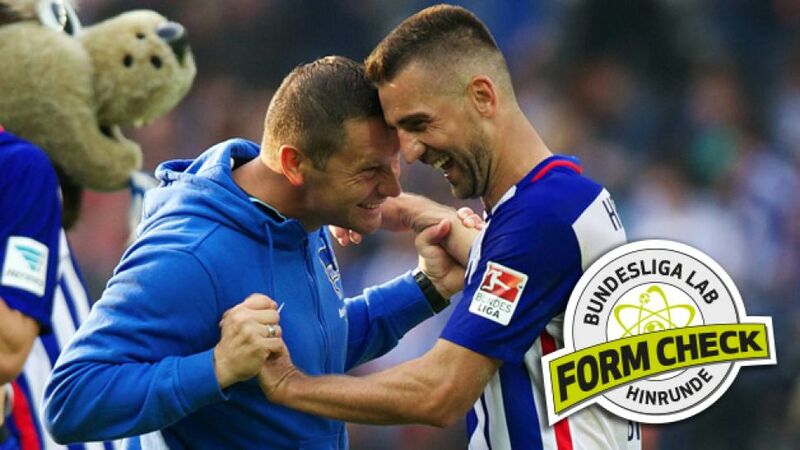 Only league leaders FC Bayern München have conceded fewer than the 18 Hertha have let in to date, while at the other end of the pitch the partnership between Salomon Kalou and Vedad Ibisevic is flourishing, with the strikers netting a combined total of 15 goals thus far. Hertha's strikers are the most efficient in the Bundesliga, needing 3.5 shots per goal.The Oldy Lady have scored a joint-league-high five goals in the opening 15 minutes of matches. Only FC Bayern München (eight) have conceded fewer goals than Hertha (18). Trace the ups and downs of Hertha's season so far with our interactive league table. Simply click on the + symbol at the end of each row in the standings for a comprehensive statistical overview. See Hertha put three goals past Hamburger SV without reply in this Matchday 8 encounter below.